I’d been wondering if my pancreas was channelling Tex Perkins to inform me that the honeymoon is over, baby. Like a lover in denial of the breakup I was seeking explanations other than my last remaining beta cells were carking it. I threw out potentially expired insulin, blamed the Chinese herbs, berated my improved digestion for making me absorb nutrients and need more jabs, attributed it to illness, accused reintroduced foods of messing with me and put it down to the aaagh! of establishing a business. It was probably a combination of all of the above, but stressing about blood sugar levels only added to the score. The night before heading off to Tassie I realised that pushing myself on a three day hike was not what I needed, nor was it the wisest move when things were a bit erratic. So on the buzzer, the day pack got a guernsey and the hiking gear was dropped for the quick trip across the benign sea. The original plan had been to hike the Peninsula Track at Freycinet. Instead the little east coast town of Bicheno took my fancy. It had its own village charm, but was also the perfect base from which to pull off a national park double. Wine deliberations and conversations with the gourmet butcher introduced me to the Douglas Apsley National Park. 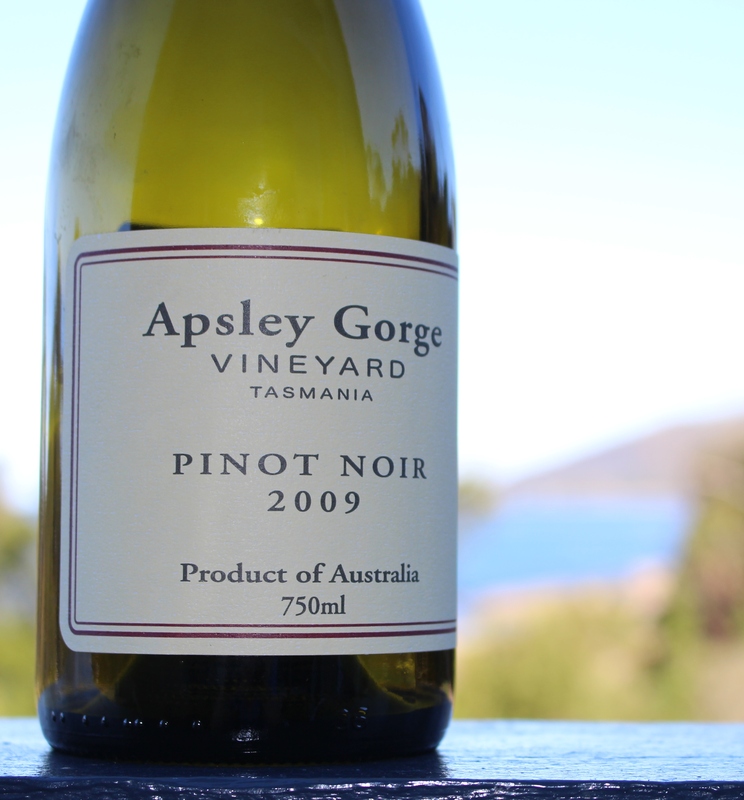 I accepted the mission to gorge on the local wine and walk the walk to Apsley Gorge. The park was protected after action by locals in the 1980s. I got the sense that they were pretty proud of their spot 12km out of town, which no doubt gets overshadowed by the prominence of Freycinet down the road. 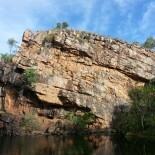 The ridge circuit began on the other bank across the river waterhole. It was a perfect autumn day to get sweaty on a medium ascent, with light filtering through the lush trees and shrubs. But geez, I smell like a wet shaggy dog when I get hot in merino. A well-marked and arrowed track took me to a steep and precarious descent on rock steps to the river. It was serene, with no one else around. The crystal clear river filled the bottle. A waterfall, big rocks to clamber over and a pretty gorge in which to sit made it a lovely place to navel gaze before the return journey. The next day I drove over a bridge crossing the same Apsley River as I entered Freycinet NP. Shortly after, the breathtaking mountains hit me as I took a bend. The next thing to hit me was a hypo as I was walking up between two of those mountains to the Wineglass Bay lookout. I knew I’d lost fitness being sick a few weeks earlier but something more was clearly amiss when I became so puffed and out of steam that I was overtaken by a chick traversing the tourist track in almost-stilettos. Rest, eat, rest. This was a crowded path to a spectacular postcard view. Once my blood sugar stabilised I was keen to get moving on a more substantial and secluded walk. The 11km route took me down to the beach of Wineglass Bay, across the isthmus track to Hazards Beach and around the exposed base of Mt Mayson. I confess, I partly opted for the longer and interesting new direction to avoid tackling the gazillion steps back up from the beach. It was worth it. These walks made me think that Tasmanians do tracks goodly. It was refreshing not to have the navigation stress like that of the South Australia walk, though that skill deficiency is something I still have to tackle. It was pretty impossible here to lose the trails and yet they meandered through such divergent and interesting terrain. I will come back with the hiking and swimming gear. I could happily live in one of the little beach inlets for a few days. But next I’ll check out what Qld has to offer. This entry was posted on 19/05/2014 by njd1insulin in Uncategorized and tagged Bicheno, Douglas-Apsley National Park, Freycinet National Park, Hazards Beach, hike, honeymoon, hypo, insulin, Tasmania, The Cruel Sea, Type 1 diabetes, walk, Wineglass Bay.